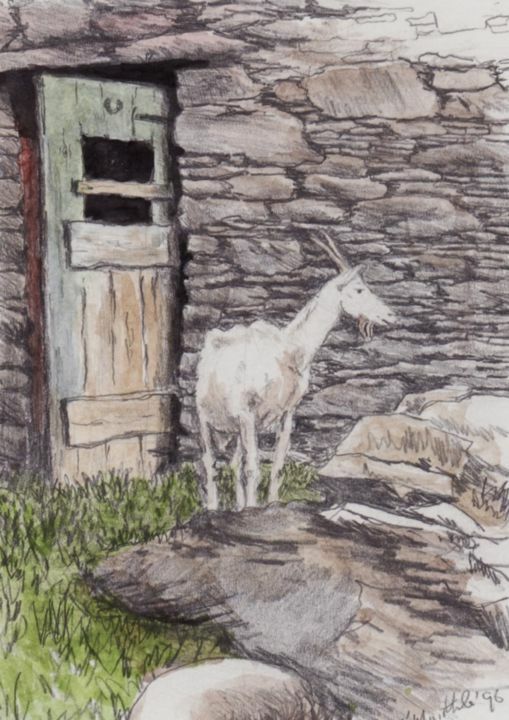 This is a pencil/wash I completed in 1996 of one of the many goats at Aart's farm near Gougane Barra in a beautiful peaceful place on the side of a hill. We used to visit every year to buy home-made goat's cheese from them when our children were young. They used to love to visit the farm and see all the goats and their kids in the yard and on the fields nearby. Happy days! !